Rising country music star Chris Stapleton was one of those honored at the 2016 ASCAP Country Music Awards in Nashville. NASHVILLE, TN--(Marketwired - November 01, 2016) - The American Society of Composers, Authors and Publishers (ASCAP) hosted its 54th Annual ASCAP Country Music Awards on Monday, October 31 at Ryman Auditorium in downtown Nashville. The writers and publishers of country music's most-performed songs of 2015 were honored before an audience of distinguished Nashville songwriters, top country stars and music industry leaders. Hit songwriter Ashley Gorley was named ASCAP Country Music Songwriter of the Year for the third time in a row and the fourth time in his career, for his seven chart-topping songs from 2015. In a surprise appearance, John "Coach Cal" Calipari, the head coach of the University of Kentucky Wildcats men's basketball team, introduced a video tribute to Gorley, who happens to be a passionate Wildcats basketball fan. After the video salute from Carrie Underwood, Luke Bryan and Cole Swindell, Trace Adkins performed one of Gorley's first #1 hits, "You're Gonna Miss This." ASCAP President and award-winning songwriter Paul Williams presented Gorley with the award. Ricky Skaggs, a pioneer of bluegrass and country music with 14 Grammys and more than 30 albums to his credit, was honored in song before being presented with the esteemed ASCAP Founders Award. Garth Brooks performed "Highway 40 Blues"; Alison Krauss, with Suzanne and Sidney Cox of the Cox Family, performed "Waitin' for the Sun to Shine"; and Peter Frampton and Gordon Kennedy performed "My Cup Runneth Over." The ASCAP Founders Award is given to songwriters and composers who have made pioneering contributions to music by inspiring and influencing their fellow music creators. 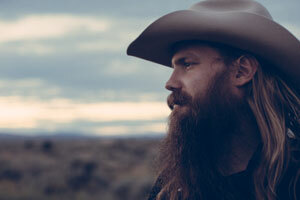 Rising country star and longtime ASCAP member Chris Stapleton was honored with the ASCAP Vanguard Award, which recognizes the impact of songwriters on genres that are shaping the future of music. The award was presented by ASCAP Senior Creative Director Mike Sistad, an early Stapleton supporter. Stapleton is also nominated in five categories at the CMA Awards, which take place in Nashville on November 2. TJ and John Osborne, known also as EMI Nashville recording artists Brothers Osborne, performed "Stay a Little Longer," which received Song of the Year. The crowd was also treated to performances of ASCAP's top 5 country music songs of the year: "I'm Comin' Over" by songwriter Corey Crowder and recording artist Chris Young; "Save It for a Rainy Day" by songwriters Matthew Ramsey and Brad Tursi; "Gonna" by songwriter Craig Wiseman with Luke Laird; and "Nothin' Like You" by Dan + Shay and songwriters Chris DeStefano and Ashley Gorley. Fast-rising country music star Kelsea Ballerini was on hand as ASCAP honored iHeart Radio personality Bobby Bones with its Partners in Music Award, in recognition of his unwavering support of emerging and established ASCAP songwriters and artists. The Partners in Music Award honors an ASCAP licensee who has shown exceptional dedication in presenting ASCAP members' music to the public. Ballerini also performed her hit song, "Love Me Like You Mean It," to open the awards show. ASCAP CEO Elizabeth Matthews presented the Publisher of the Year Award to Warner/Chappell Music Publishing CEO Jon Platt and EVP Ben Vaughn. Warner/Chappell published 18 of the most-performed ASCAP country songs of 2015, and earned the top publisher award for the fourth consecutive year. The American Society of Composers, Authors and Publishers (ASCAP) is a professional membership organization of songwriters, composers and music publishers of every kind of music. ASCAP's mission is to license and promote the music of its members and foreign affiliates, obtain fair compensation for the public performance of their works and to distribute the royalties that it collects based upon those performances. ASCAP members write the world's best-loved music and ASCAP has pioneered the efficient licensing of that music to hundreds of thousands of enterprises who use it to add value to their business - from bars, restaurants and retail, to radio, TV and cable, to Internet, mobile services and more. The ASCAP license offers an efficient solution for businesses to legally perform ASCAP music while respecting the right of songwriters and composers to be paid fairly. With 600,000 members representing more than 10 million copyrighted works, ASCAP is the worldwide leader in performance royalties, service and advocacy for songwriters and composers, and the only American performing rights organization (PRO) owned and governed by its writer and publisher members. www.ascap.com.